The Yirgacheffe Coffee Farmers Cooperative Union (YCFCU) represents more than 300,000 families and indirectly supports the livelihoods and daily survival of more than 15 million people in Ethiopia, through high-quality coffee production. 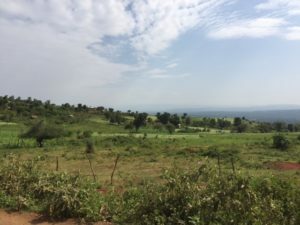 Located in Gedeo, Southern Ethiopia, YCFCU was founded in 2002 and represents 23 member cooperatives, including the Tumticha Cooperative. The YCFCU is involved in a few projects including a School Desks for Children program, in which it purchased 500 school desks for children in the community. They also worked with a cooperative union in the area to ensure that electricity is installed in the Yirgacheffe area. Additionally, the cooperative realized a vital need in the transport sector. While initially it was impossible for local residents to access the markets, since an old bridge was dangerously rotting, the farmers union recently build a new bridge, which has increased market access and development dramatically.